Mevadhashma offering vide range of cement plant spare for operation and maintenance for their equipemnts and machineries. 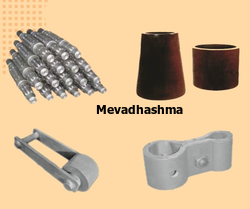 Mevadhashma also accepting customised and as per customer sketch supply with shortest lead time. Our organization counted as a leading organization, offering quality assured Diverter Valves. The offered diverter valve is manufactured from the high-grade factor input as per with the industry norms. We offer this diverter valve in a number of specifications so as to meet the demand of customers. Our quality controller inspects this diverter valve on different parameters in order to make certain its performance. The Clamshell Gates offered by us are used in the place, where it is high temperature, adhesive or abrasive. According to the application, clients can avail from us hard ox 400 or hard ox 200 lining for all material contact surfaces. Moreover, the gates offered by us are also tested on various parameters so as to ensure their adherence with international standards and norms. Owing to their optimum performance, these gates are widely demanded by the clients. We are exclusively engaged with our expertise in manufacturing, exporting and supplying a wide assortment of Electrostatic Precipitator Shock Pads. 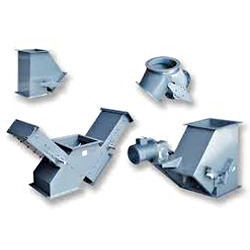 The offered precipitator shock pad is manufactured from the high-grade factor input as per with the industry norms. 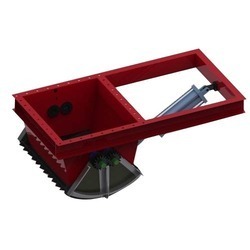 We offer this precipitator shock pad in a number of specifications so as to meet the demand of customers. Our quality controller inspects this precipitator shock pad on different parameters in order to make certain its performance.